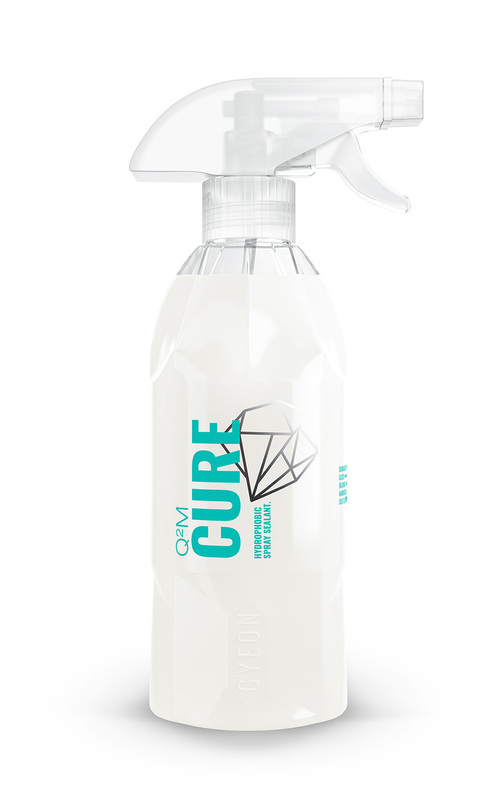 The primary job of Q2M Cure is maximum prolonging of the base quartz coating durability, e.g. Q2 Prime or Q2 Mohs. Through a regular maintenance you may gain an extension of an excellent hydrophobic effect up to the 90% durability of the base coating. 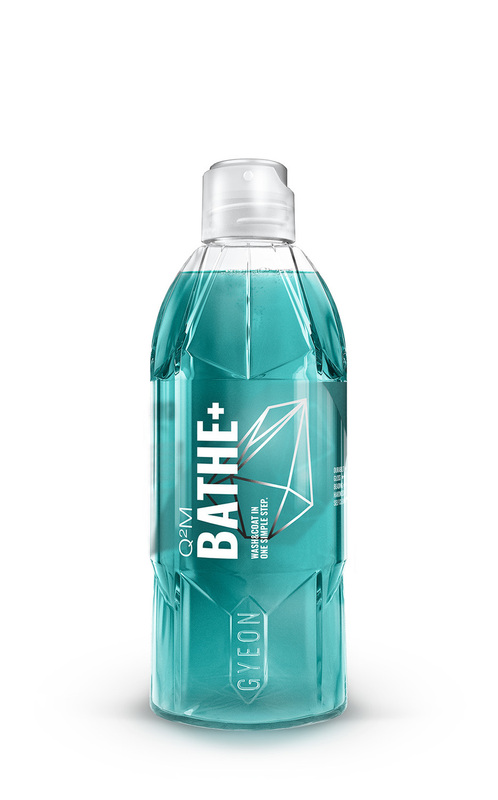 Q2M Bathe+ is world’s first pH neutral shampoo containing SiO2. Even a quick wash leaves a strong hydrophobic layer, repelling water, dirt and prolonging the need for a next wash. The wash itself is a real joy, while the shampoo is very slick and has a scent characteristic for the whole Gyeon range.